We featured a Ferrari 750 Monza a few weeks back. Well this car, even though it’s called a “Mondial,” is part of that family of cars. In fact, it directly preceded the 750 Monza. The 500 Mondial was built for 1954 only. Ferrari began building four-cylinder engines for Formula Two in 1952 and walked away with the championship in ’52 and ’53. Back in these days, the Scuderia would transfer those race engines directly into other cars – many of which were sold to customers (imagine Ferrari or McLaren doing that today). In this case, the 2.0-liter Lampredi straight-four was dropped into the 500 Mondial sports racing car. It makes 170 horsepower. This was one of four cars entered by Ferrari in the 1954 Mille Miglia – but because the organizers of that race kept such poor records, nobody knows for sure who drove it or where it finished. It was sold upon completion of that race and used by a privateer in Italy before making its way to its second owner in Venezuela the following year. It entered American ownership in 1964 and it was restored for the first time in 1987 and again 10 years later in 1997. Only 20 Series I cars were built, with an additional 10 Series II cars – making there just 30 examples of the 500 Mondial built. This is car #6. It has Scuderia Ferrari team history and Mille Miglia history. And it’s one of those great cars that is perfect for classic car rallies and tours. It is expected to sell for between $2,750,000-$3,250,000. Click here for more info and here for more from RM. 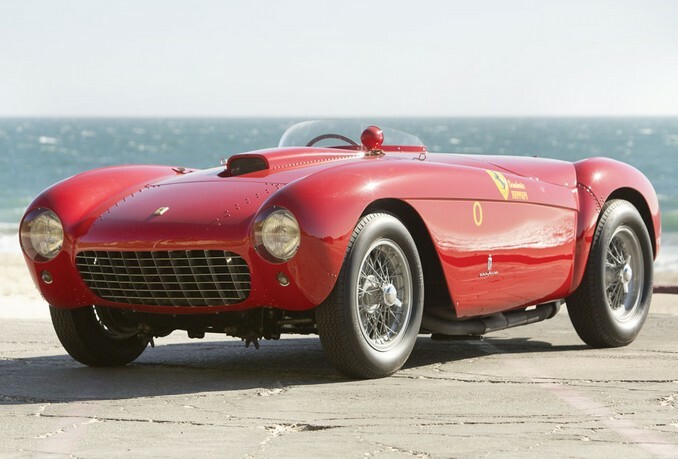 This entry was posted in Uncategorized and tagged 1954, 500, auctions, cars, classic cars, ferrari, mondial, pininfarina, race cars, rm auctions, series i, spider by classiccarweekly. Bookmark the permalink.